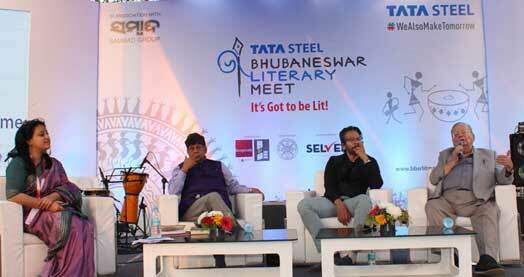 Bhubaneswar: The fourth edition of the Tata Steel Bhubaneswar Literary Meet concluded today, bringing to end the three-day celebration literary and creative pursuits. The festival was packed with engaging sessions touching upon a host of topics ranging from literature to theatre, dance, music, journalism, and performing arts. After a captivating session on what inspires his writing yesterday, legendary author Mr Ruskin Bond today spoke about the skills needed for journalistic writing. He spoke about the art of writing news reports and thought pieces, and how language, nuance and play of words can be used to draw in the reader. Acclaimed writer Aatish Taseer’s session delved into the author-journalists love of languages. He spoke at length about how he has travelled across the Eternal City of Varanasi to understand Sanskrit at its root. 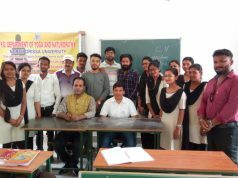 The concluding day of the three-day extravaganza also touched upon something unique for a literary meet. Celebrated ornithologist Bikram Grewal moderated a session that forced one to think about a sustainable future. He spoke about the importance of conservation and the need to protect the indigenous avian fauna of the region. True to the festival’s commitment to promote Odia literature and culture, there were three sessions with eminent personalities from diverse artistic fields that delved into history and identity. The concluding session saw a mesmerizing act by award-winning singer Ms Rekha Bhardwaj. The packed audience was left spellbound as she performed a varied selection of her more popular songs. “It is wonderful seeing the support we have received from the people of Bhubaneshwar,” said Mr Arun Misra, Vice President, Raw Materials, Tata Steel. “One of the drivers of Tata Steel’s sustained growth is its continued engagement with society. These Literary Meets, which have grown in both scale and scope over the years, have become a key aspect of this commitment. It has been a privilege for Tata Steel to be able to host this event and I thank the ever-supportive people of Odisha for your participation. We will be back again next year and shall endeavour to take the event to greater heights,” he added.